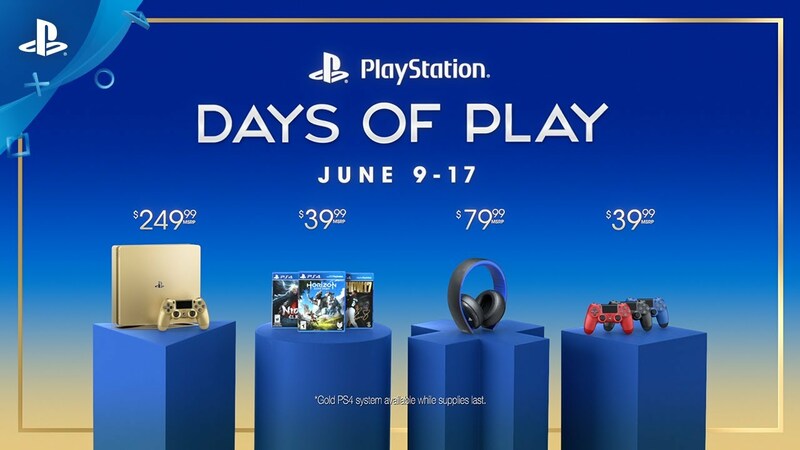 We’re pleased to introduce our Days of Play campaign, a first of its kind global promotion, bringing you some amazing PlayStation deals just as summertime is getting into full swing. Haven’t jumped into the PlayStation 4 community yet? Or maybe you want to add some of the great PS4 games that have recently launched? Now’s the time! Starting June 9, major retailers across U.S. and Canada will offer discounts on hardware, peripherals, and PS4 exclusive games – all the way through June 17. This campaign is a thank you from us to the passionate PlayStation community for your unwavering support – it’s all of you that makes PlayStation the best place to play, and led to the huge success of games like Horizon Zero Dawn. On June 9 as part of this event, we will be introducing a new slim Gold PS4 system with 1TB of HDD storage, which will launch with a limited-time promotional price of $249.99 USD (MSRP) / $329.99 CAD (MSRP). The system comes with a matching DualShock 4 wireless controller, and will be available for a limited time only. Make sure not to miss out. What’s more, PlayStation Store will be offering awesome deals for digital blockbuster games and PlayStation Plus memberships starting June 9. Stay tuned for a blog post on June 9 for more info. Thank you again for all your tremendous support and happy gaming! Why isn’t there a Gold PS4 Pro? Because almost no one buys the PS4 Pro. more people have pros now then regular ps4s. this is to get the stragglers that may be left picking a system before the holidays. then they crank out the actually holiday sales. That is incorrect, theres more people with the standard PS4 then the Pro. PS4 Pro accounts for about 1 in 5 of PS4 sales since it launched last year, therefore there is absolutely no way that more people have the pro than the vanilla PS4. It’s not even close. cause they want to sell more of the slims. btw will EU get those deals too? Can’t wait to see all the deals!!! Nice Sony, I have Nioh and Horizon but now I’ll pick MLB the show on sale. 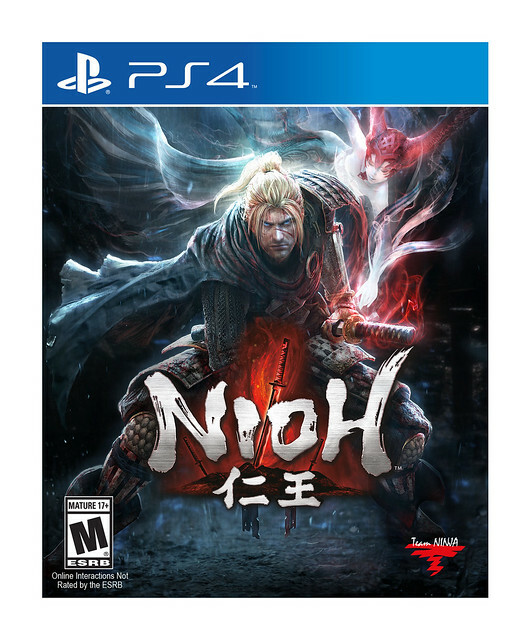 Nioh horizon and MLB for $40. Is it digital deal in PlayStation store? Lol I also have Horizon and Nioh Deluxe Editions. So hopefully these upcoming sales have something great for us. This must be some new meaning of the word “begun” of which I was previously unaware. Lol I was thinking the same thing… It has begun!!! in 3 days. Is there a gold PS4 Pro model? I cant wait to see the digital deals! I’ve waited for soms time for an awesome sale! Does it come in 4k? Not in the market for another PS4, especially a gold one(ick! ), but definitely curious to see what digital sales you have planned. Will be tuned in on the 9th and E3 is coming! Has the joysticks on the controllers been resolved ? Every controller I have the rubber wears out and now it’s just plastic. Not that comfortable to game with. I usually pick up those rubber nubs you can place on top of the sticks. It’s a bit chintzy, I know, but it displaces the wear onto something cheap and replaceable. There was a soft recall within about 4 months of the release of the ps4 that fixed that issue with the ripping. Now there has even been a 3rd update to the controllers. Its hard to notice the change on all of them the first controller was a shiny base, the second had more of a dull matt base and bumpy textured sticks, the third has a little window slice in the touch bar to let in light from the light bar, also on the packaging you can see this detail in the illustration on the back of the package to tell if it’s the 3rd version of the controller, sorry don’t have the SKU numbers any more. So Other disabled autistic vets can concentrate on game play n not hand pain . Been meaning to pick up a extra controller again. Curious to see the digital deals though. EPIC LOL!!! Define EPIC… When is the last time Playstation gave us fans an EPIC deal? I bought the PS4 for $399.99 and you wanna sell me a gold PS4 for $249.99??? i hear ya. so these deals seem to be to get new fans, not celebrate the pre-existing fans from day 1! Any word of god of war PS4’s release? as if they’re going to randomly announce GoW’s release info in a random blog post a week before E3. Are you serious? LOL, yep. Only saw Horizon and MLB though, not Nioh. You know what will be a nice thank you sony ? The ability to play are old PlayStation classics again without paying for them again either through PsNow or Remasters. Since you all no body would play old games i refuse to buy my old games again that includes Crash and wipeout remasters. If i wanna play them i’ll just hook up my old systems as everyone always said. The Gold headset is currently $72 at Amazon. Give us a new handheld please. I’m thinking about buying a Switch but waiting to see if Sony has any announcements. I’d rather support Sony. I wouldn’t be eager to jump to nintendo yet for the switch. They are having major issues with the screen, the bay and the c port. all major components pretty much, I would like one for the new monster hunter but I’m holding off till the fix at least the biggest errors the screen and there c port. @Jisatsu_Kiddo I’m definitely interested in the Nintendo Switch too, especially the 1st party games, even though remasters/ports from the Wii U (because I didn’t have one). However, I’m also waiting to make sure that they support the console and they fix any problems, and it has 3rd party support. I also want it to be a bit cheaper. I bought a Vita day 1, and I’m not making that mistake again. ”Global Promotion” (only in US and Canada)?? Will Europe get any deals? you understand that you are on the US blog right? You can already buy the PS4 Gold headset from amazon for $72 so I don’t really understand this “sale” from Sony? That looks suspiciously like Karen. Only an absolute fool would get a PS4 slim. Why not a discounted PS4 Pro? Oh I know why, because you’re clueless, Sony. If you want to really show your customers that you care about them, start offering quality games on PS Plus again. Because right now I’m seriously considering just getting a Xbox One S with their Xbox Pass. I never thought I’d be considering that. I remember a friend got my 3 months of plus for my birthday back in like 2011, and I activated it and was amazed by the games I could get. there were about 15 ps3 and then 6 vita games in rotation at all times. None of this 2 games a month crap. Also, there were AAA and first party games, not just indie games. I have both Borderlands and Infamous games on my ps3, I have all 4 games through PS+. What games do I have now? Rocket League? Tales from the Borderlands? Don’t really play any other freebies anymore. What kinda deals can we look forward to in Europe? (weak) discounts aren’t exactly a thank you. So anyone knows where they are going to be selling this console? My daughter wants a ps4 for her birthday and gold would make the present even sweeter. Where can i buy 1000 Pcs for re-seal? Tnx. I’m grateful for the discounts. 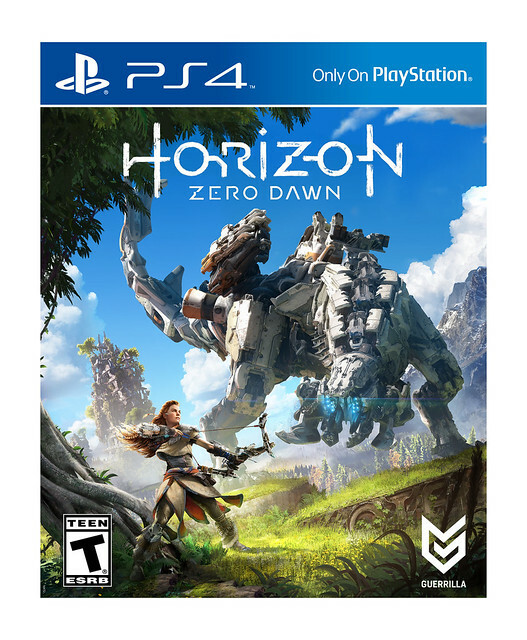 I’ll likely pick up HZD for $40. An even better thank you, though, would be to go back to offering more top notch games through PlayStation Plus. Back near the end of 2013 and into 2014, we were getting games like Borderlands 2, Ico & Shadow of the Colossus, Resogun, Bioshock: Infinite, Batman: Arkham City, Sly Cooper: Thieves in Time, Dead Space 3, and PlayStation All-Stars Battle Royale, just to name a few. That point in time, in my opinion, was the high point for PS Plus. It hasn’t been the same since. I agree with you there. I feel ever since they became #1 top selling console franchise with the ps4, they dropped the worth of the monthly free games for PS+. Doesn’t seem like they try anymore now cause their the “top dogs” agaisnt their rival companies. Please do a permanent price cut of the PS4 Pro and PS4 Slim. I’d like to upgrade my PS4 (standard) to a PS4 Pro. But it’s still quite expensive. I would wait after what MS does with Scorpio, would not be shocked if Sony does a $50 off deal on Pro. Then do a trade in. I did it last year and only had to pay $200 towards Pro. 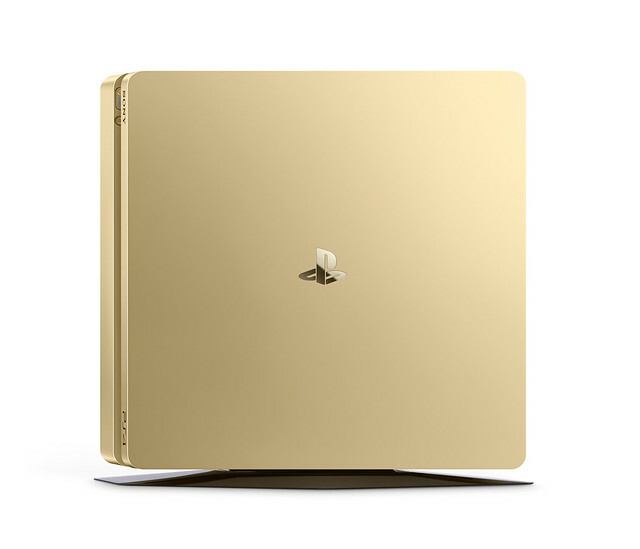 PS4 Gold looks sweet. That said, PS4 Pro is such a better experience. I still use my PS4 because for some titles, it doesn’t make much of a difference. For others, PS4 Pro is the best way to game. If you’re on the fence, get the Pro. On the other hand, if you want an unreleased console with no launch titles and sad exclusives, well, you really don’t want that. will there be a limited ammount of gold ps4s? Is it made of real gold tho? What retailers are participating in The Days of Play? Seems like a decent deal, but I’ve waited this long by not having a PS4. It would seem a bit silly of me to not get the PS4 Pro at a discount. I’ll wait for that. Heck, if Sony does an exclusive PS4 4 Pro Gran Turismo edition with GT Sport bundled in for $400, I would be all over that. I would like to get the silver ps4 but its not available in U.S.
Is slated for 2018 anyways …1 yr to wait . Hwvr if the PS5 doesn’t come 4k native w 4khddr then forget it and go pc . PS needs to show its console users they still care . I wish it came w a charge cord that u could keep plugged in . Sorry to say, I won’t be getting the gold edition. No point. I have a standard and it has a 2TB, works just fine. To me there is no point in getting a Pro. The normal PS4’s work just fine. Where will this be selling at? cause i live in Australia, NSW. And can you buy it at EB Games? please tell me i need to know because im gonna get my first ps4! Might pick up a controller, since I have everything I want on sale. I know Gamestop has the Gold Slims at the sale price, its advertised on their app. I wonder how limited the Gold models will be, I have a feeling they might come back during the holidays. Might pick up a controller, since I have everything I’d have wanted on the sale. I know Gamestop has the Gold Slims at the sale price, its advertised on their app. I wonder how limited the Gold models will be, I have a feeling they might come back during the holidays. Gold? Seems a bit tacky. Kinda like Donald Drumpf. Where’s my white Destiny 2 PS Pro??? 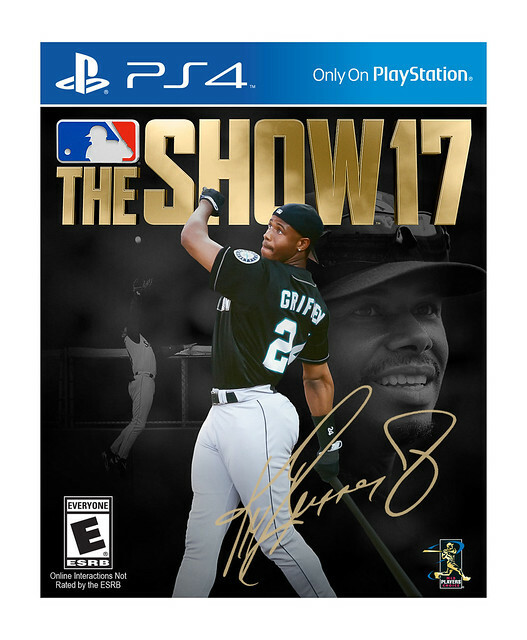 Anyone know when MLB The Show will go on sale?